Satnam Virdee has written an important book. 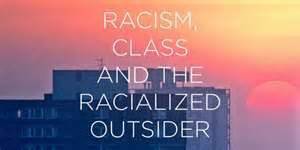 It is a history of working-class struggles to win economic and social gains, and to gain access to democracy in Britain, viewed through the prism of ‘race’. From the start, English and then British capitalism was founded on imperial expansion, drawing under its control large parts of the world, and ‘importing’ into its territory large numbers of people from the lands it conquered, colonised and robbed. Yet many accounts of British working class development are silent on the presence and the impact of migrants, their sufferings and resistance, and the vital ‘racial politics’ that shaped both the major waves of popular resistance and the troughs between them.